Jess Vilsack is a partner at Nyemaster Goode. He focuses on commercial and business matters, specializing in negotiating business agreements, and resolving business disputes. He often assists clients in a capacity similar to an in-house general counsel, advising clients about strategic legal and business issues, and conducting internal investigations. Jess has a network of legal, business, and political contacts and frequently assists clients in developing and enhancing relationships with local, state, and federal governments. Before joining the firm, Jess worked as in-house counsel for MidAmerican Energy Company and as a prosecutor in the Polk County Attorney’s Office. Jess has considerable trial experience, having served as lead counsel in more than 30 jury trials as a prosecutor. Jess started his legal career as a law clerk to the Honorable Ronald E. Longstaff, Chief Judge of the United States District Court for the Southern District of Iowa. Jess received his B.A. from Hamilton College, Clinton, New York, in 2000. 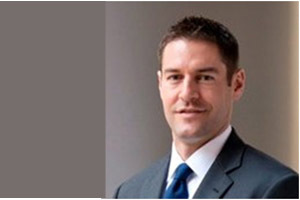 He graduated with distinction from the University of Iowa College of Law in 2003. During law school, Jess studied at the London Law Consortium in London, England.